I recently wrote a blog post on how to get started on social media but one of the most common questions I get is, “How should I be using twitter now I have an account?” There seem to be loads of posts out there on how published writers should be using their twitter account, but what about those of us still looking for an agent or publisher? Here are ten ways every wannabe writer should be tweeting to gain traction. Okay, this first one might be a ‘duh’ point, but seriously, the number of wannabe writers that don’t follow authors is weird. Like, these people often give away advice, for free. Or post tweets about their cats. Both of which are awesome. You can also follow the people your favourite authors are following. They’re sure to be interesting. Don’t follow celebrities that have nothing to do with the writing world. If you really feel like you simply must keep up with the antics of Selena Gomez or Benedict Cumberbatch, get a personal Twitter account that is separate to your writing one. These people will never follow you back and as such are a wasted follow for you. 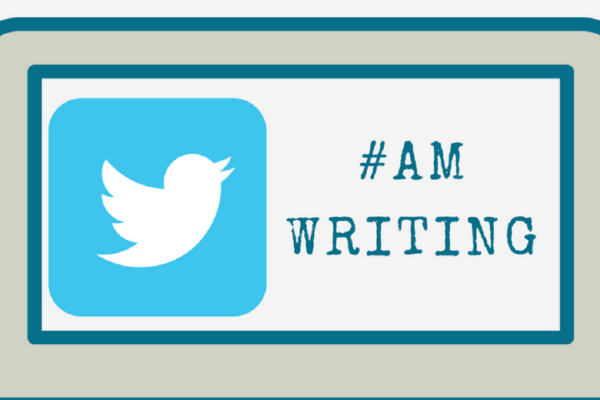 Use writing hashtags such as #amwriting and #amediting. Check out the other people who are in the same situation as you, are they tweeting anything useful, or even better, funny? There are more in-depth hashtags too, like #amwritingscifi. Follow agents who might be interested in your book. Apart from the fact that they might tweet about what sort of books they want to see, it also means that your name is a little familiar when you finally send your manuscript in. Try making public lists of authors you admire, your real-world writing friends, people you met at writing events, Twitter accounts that post writing advice and the accounts you think everyone should follow. Private lists are good for adding literary agents you want to target and people you don’t want to follow. You could also create private lists of your direct competitors. If you can’t find one that interests you, you could always host your own? It’s a great way to make new friends and you might even pick up a few new followers. Post your content to Twitter. If you don’t have your own blog, you could write blog posts on Medium or Tumblr, two platforms that allow you to start blogging with minimal setup. Include a link to your author website. Don’t follow and then unfollow again just to give people notifications. It is really rude and Twitter might block you. So many authors do this to me, it drives me crazy! I call them mayfly follows – here today, gone tomorrow. Try using Twitter in unexpected ways. Some authors can provide inspiration for this, for example, Joanne Harris tells stories on Twitter using the hashtag #storytime. Haggard Hawks posts about obscure words. Maybe you could put a unique spin on something you see on Twitter? Just don’t rip off another tweep’s idea completely, people won’t like you for it and you probably won’t do it as well as the original anyway.